No need for an elevator with this rare ground floor unit. 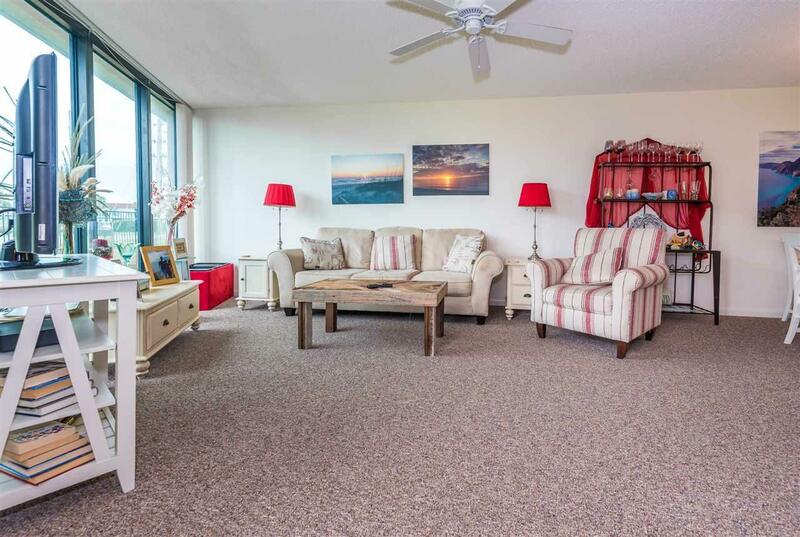 Convenient to the pool & steps to the beach access. 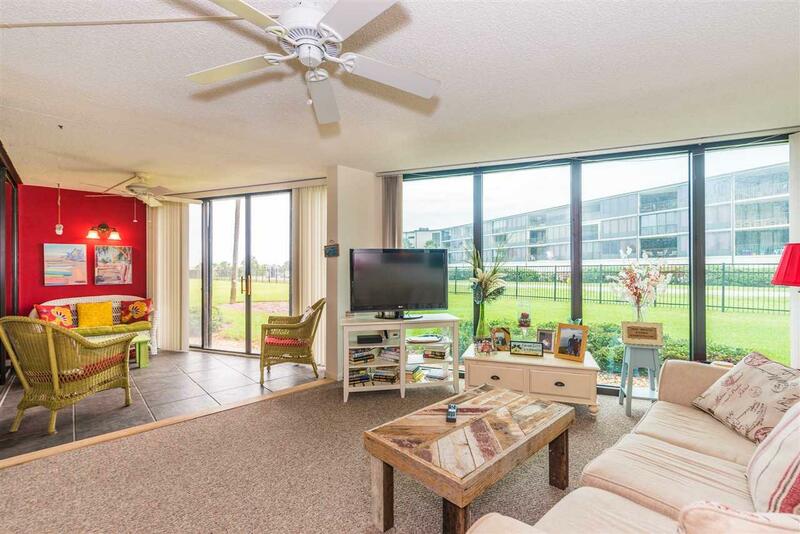 This well maintained condo is one of few in this complex with the laundry facilities not in the kitchen. 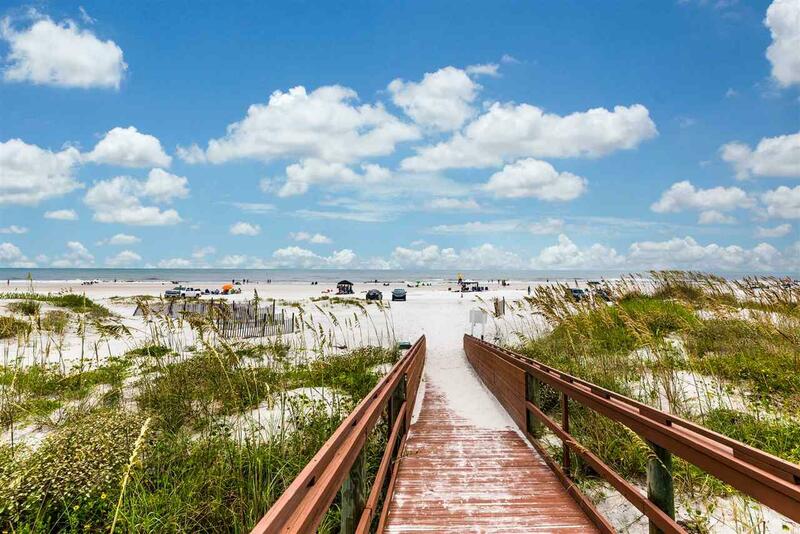 Nearby attractions include Saltwater Cowboys, Hurricanes Grill & Wings, Salt Life food shack, the Oasis, Anastasia State Park, & Butler Park (has boat ramp). This unit is not in a flood zone and did not flood in Matthew or Irma. Sold fully furnished, so just bring your toothbrush! Enjoy the weekly farmer's markets at the nearby pier and explore all the nearby shopping and restaurants. The amphitheater also hosts a weekly farmer's market as well as regular sold out concerts and other events. The condo fee includes: master insurance policy, exterior maintenance, security, common area maintenance, management, cable, water, sewer, internal pest control, termite bond, & trash removal. 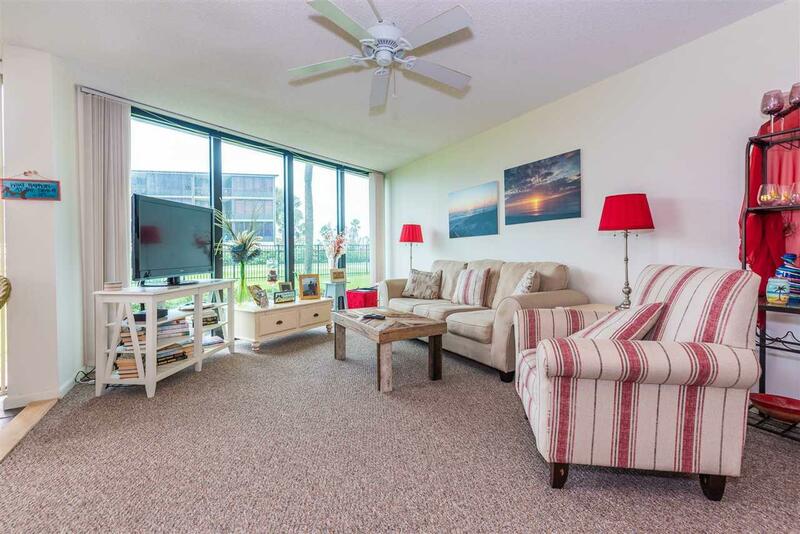 This community has a heated pool, exercise facility, tennis, car wash, owner's clubhouse, and beach access. See attached documents for a small list of items that are not included in the furnishings.